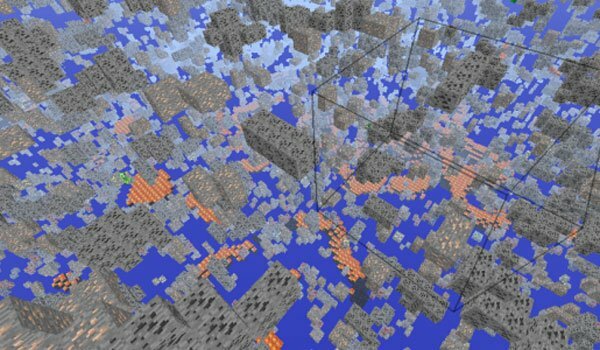 If you are too lazy to go to find out minerals and resources, chopping and mincing, you’ll love this mod. X-Ray 1.10.2 and 1.10 is a mod that, just by pressing the “X” key, will rid of your eye range all of these bocks that aren’t minerals, such as iron, coal, gold, emerald and diamond. A part of this function allows us to activate the mod night vision pressing the “L” or search Redstone activate when we press “R” and as we said at the beginning, “X” key to activate the X-Ray . How to install X-Ray Mod for Minecraft 1.10.2 and 1.10? Double click the downloaded file to run the X-Ray installer. Run the Minecraft launcher and select the X-Ray profile.